Back in my child-free days, there was nothing finer than a hike. A long hike. Hiking for hours. Elevation changes? Okay! Rocky terrain? Sure! Being gone all day? You got it! Yeah, I don’t roll that way anymore. Now my life is all about scheduling around naps since Little Monster doesn’t nap on the go, and my stroller doesn’t navigate rocky terrain. And I don’t want to hike for a long time in the Utah summer with a carrier on because HOT. Utah is all about outdoor adventure, though, and I still like to get out, but my idea of a great trail these days is if there’s some kind of shade, if it’s paved, and if it’s not crazy steep. Fortunately, Salt Lake City has trails for literally everyone. 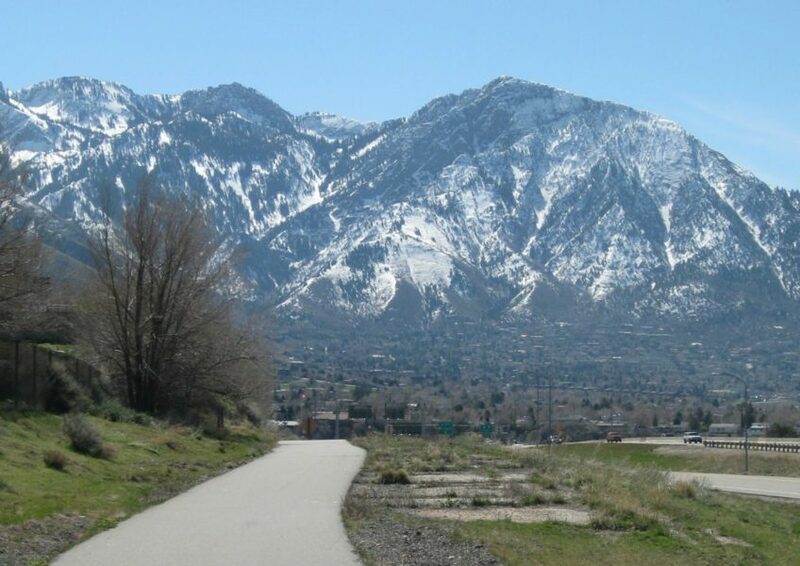 The Jordan River Trail is a big, long trail that goes from Utah Lake in Utah County all the way to a connection with the Legacy Trail in Davis County…and you probably don’t know exactly where those two points are, but what really matters is that this trail is more than 40 miles long. That’s a whole lot of paved trail just begging for strollers. Plenty of the trail is probably farther than you want to drive with a baby complaining about being in her car seat, but within the Salt Lake City limits the trail goes through several parks, including the International Peace Garden in Jordan Park, which is enjoyable to check out with or without a baby. My husband first introduced me to this trail before it was paved and he called it “The Gully.” These days, the Gully is kind of a trendy place to take your dogs (oh yeah, there are lots of dogs and many are off leash) and it’s become a major trailhead for Parley’s Trail, which has become an expansive paved trail measuring 8.5 miles. You could say it’s become the ultimate stroller walk. My favorite stretch starts right next to Tanner Park off of Heritage Way in Millcreek. It parallels what we call The Gully for a while, venturing through Parley’s Canyon, but unlike the graveled trails through the canyon, it’s paved and an easy walk with a stroller or a carrier. But these days the trail is so much more than The Gully. It cuts through Sugar House and goes all the way out to the Jordan River – or so I hear. I haven’t been that far! Silver Lake is that rare trail that’s not located right in town, but also doesn’t require you to bust out the heavy jogging stroller or hike for hours with a carrier. It’s in Big Cottonwood Canyon so you get to enjoy all the canyon-y goodness that is Utah. The trail loops around the lake, is on a boardwalk, and it’s super duper picturesque. Wild flowers in the summer, mountains all around, and some wildlife if you’re observant (you might even spot a moose, which is a sure hit with little ones…just stay far away from any moose you see because they’re big dangerous dinosaurs as far as I’m concerned). City Creek Canyon and Memory Grove are connected, offering a customizable “walk” with your baby or toddler that even has the word “canyon” in it so you can feel like you did Salt Lake City right. 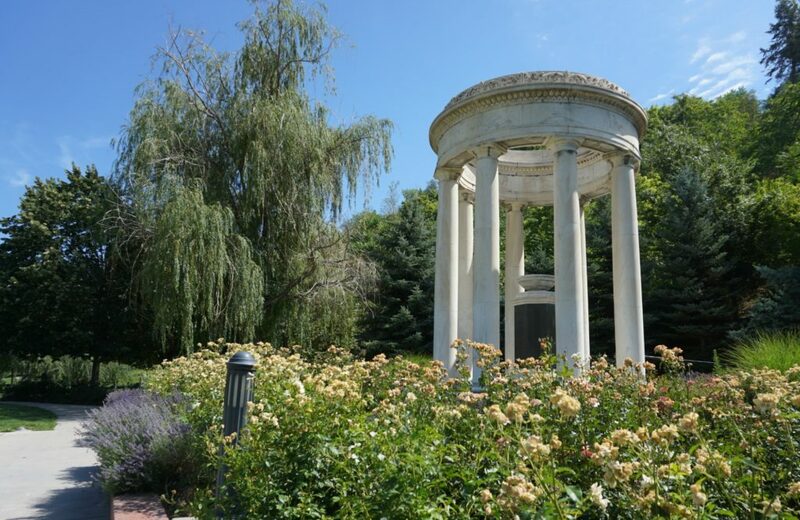 Memory Grove is a well-manicured park with a pond and memorials to veterans throughout. It’s lovely. The paths are paved and pretty level. If you want to up the ante on your walk (i.e. your child is behaving), you can take a set of switch backs and stairs up the hill to the left of the entrance and you’ll pop out in the Capitol parking lot. Or make your way all the way through Memory Grove (a little over a mile) and continue on the trails of City Creek Canyon/Natural Area (which keep going for another almost six miles). All trails are paved. Sugar House Park is one of my favorites. 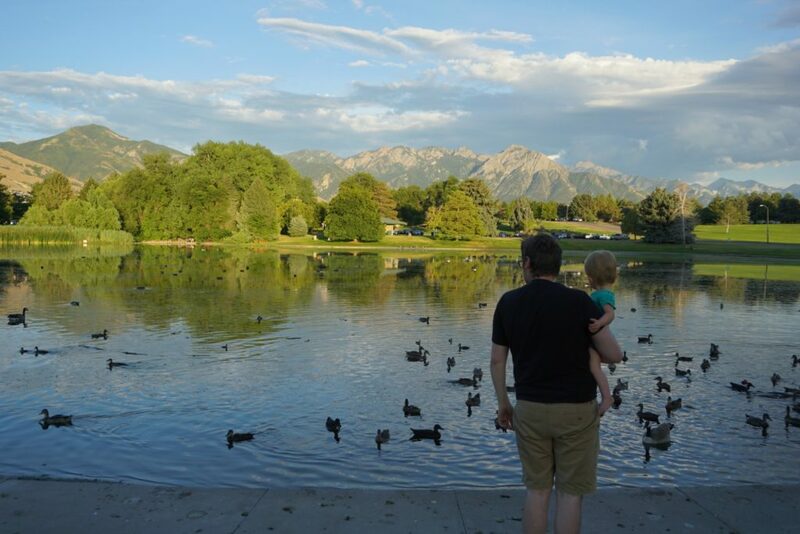 It’s got everything a park should have – big green spaces, a duck pond, a walking path, and a pretty sweet view of the mountains (although, I realize everything in Salt Lake City has a view of the mountains). The walking path circles the park, which is nice since you can park anywhere and then walk in a circle and be right back at your car. Convenient? Yes, it is. The walking path is 1.38 miles, which is right within the range of tolerability for little monsters everywhere. The Avenues is a neighborhood close to downtown Salt Lake City. While you could turn any neighborhood into a walk, the Avenues has a certain je ne sais quoi – sidewalks, big historic homes, old trees lining the streets. I just dig it. There’s nothing in particular to “see” here, but if you aren’t in the mood for a hike and you want something more than walking around a park, and you don’t feel like walking around a busier neighborhood like downtown or Sugar House where you have to stroller-dodge the masses, then this is the place for you.